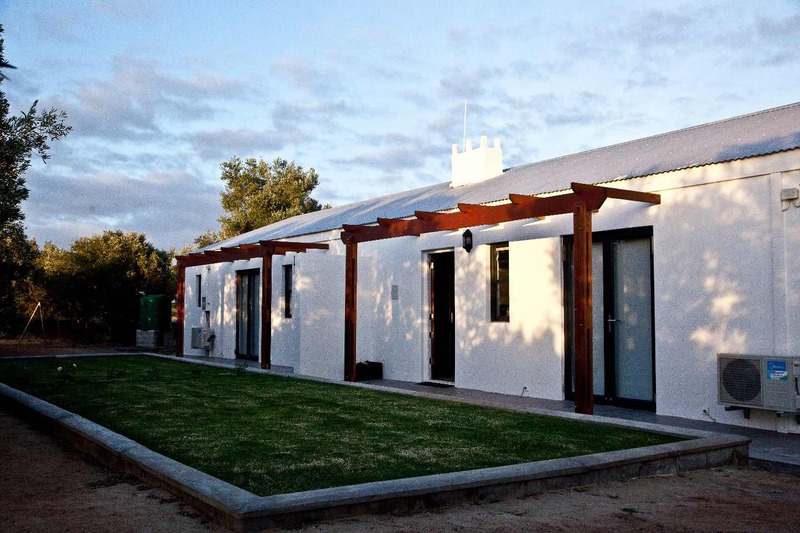 FROM R1400 PER UNIT p.p. Oude Denneboom is located in the renowned Voor-Paardeberg area of the Paarl Winelands. 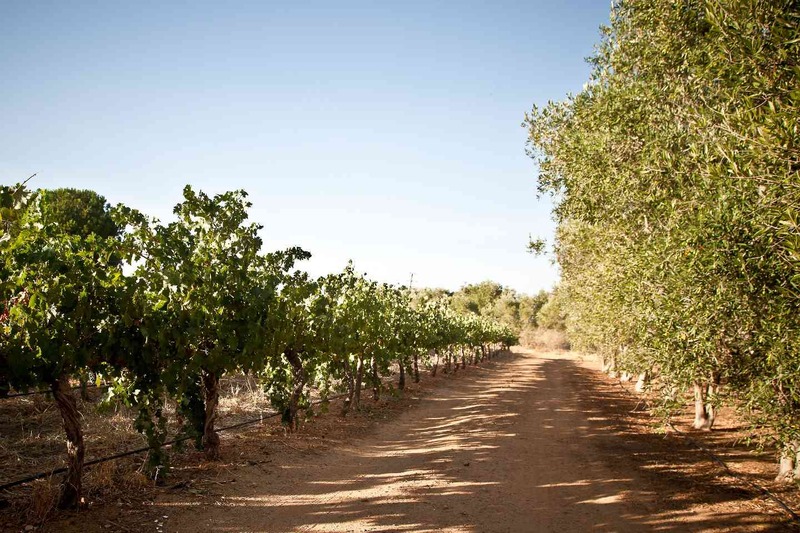 A Boutique producer of wine and olive oil and purveyor of 4 star accommodation. 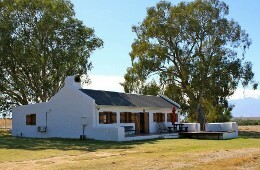 Our accommodation was born out of the necessity to preserve the old buildings on the farm, The shepherds cottage date from the early 1800’s and is located right next to the old wagon trail that used to lead on the way to the voor paardebergto this extent every cottage has its own story of a previous life and a different contrubution to the farm, They are very important and an integral part of our history and everyday life. It is something we cherish and strive to make it as enjoyable as possible to every one of our guests. 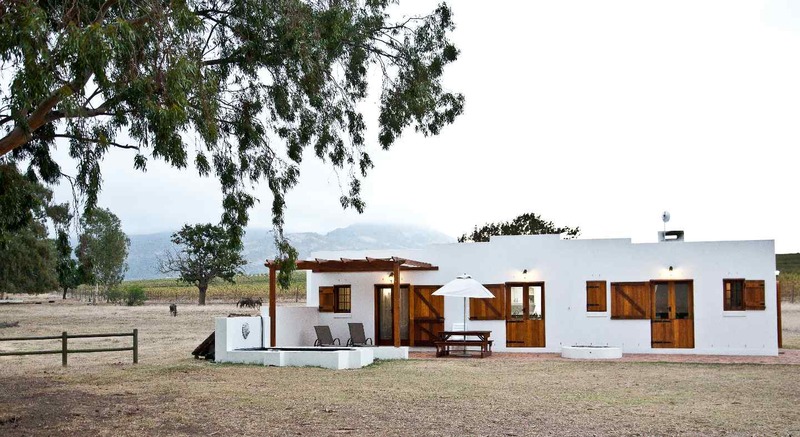 The Shepherd's Cottage and Stable Cottage is located in the heart of a private game reserve, surrounded by huge trees and views of beautiful mountain ranges. 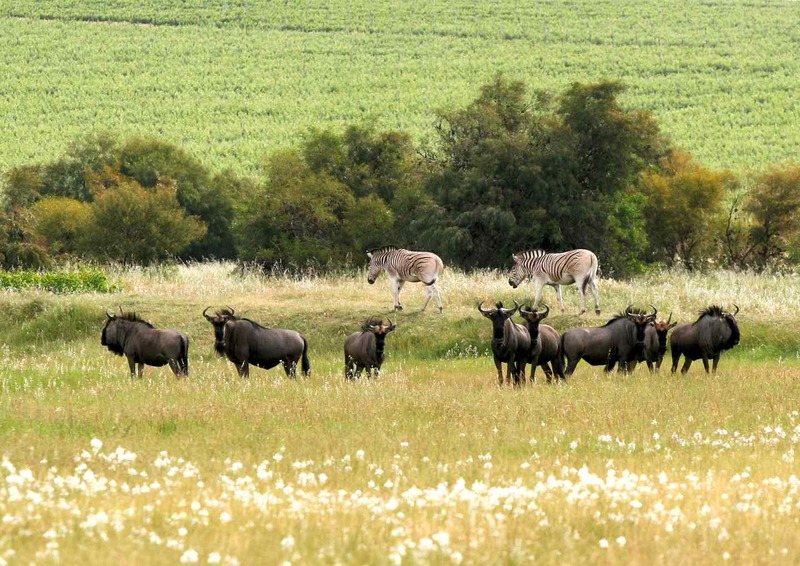 There is an abundance of animal and bird life, including species such as Springbok, eland, blue wildebeest and zebra. 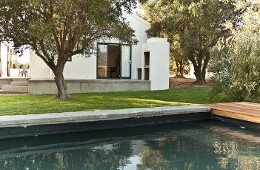 A perfect location for a relaxed holiday, away from the city life buzz. 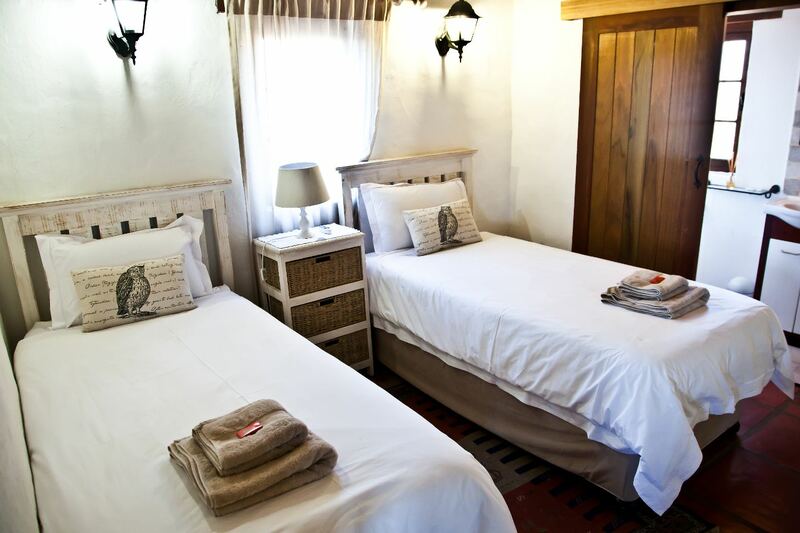 Each cottage can accommodate up to 4 guests and come equipped with 2 bedrooms. 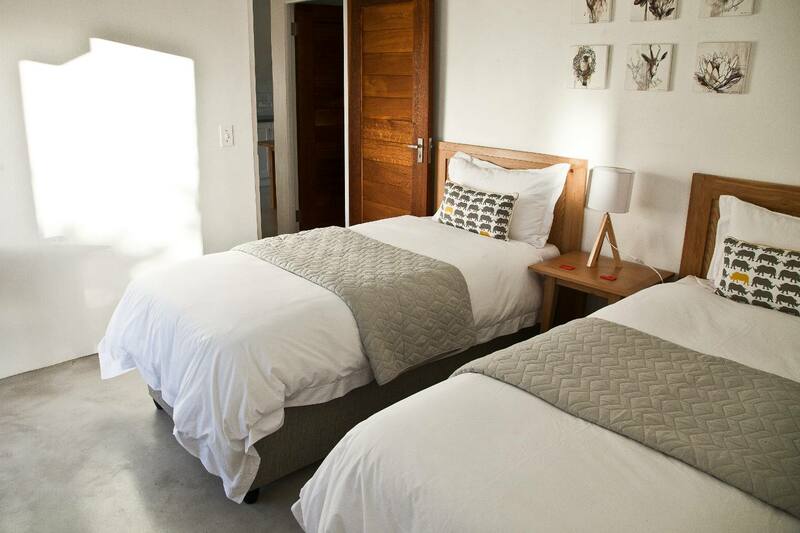 The main bedroom features a queen-size bed and a fully equipped modern bathroom fitted with a bath and shower. 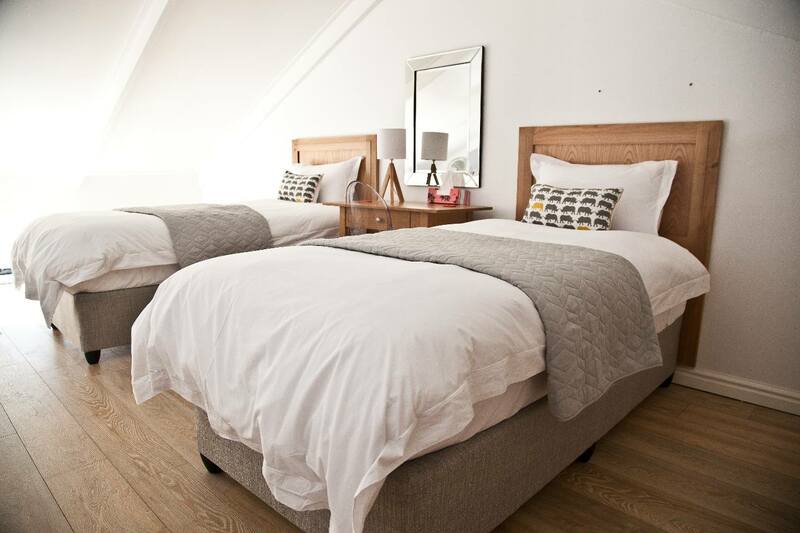 The second bedroom features twin single beds with an ensuite bathroom fitted with a shower and other facilities. 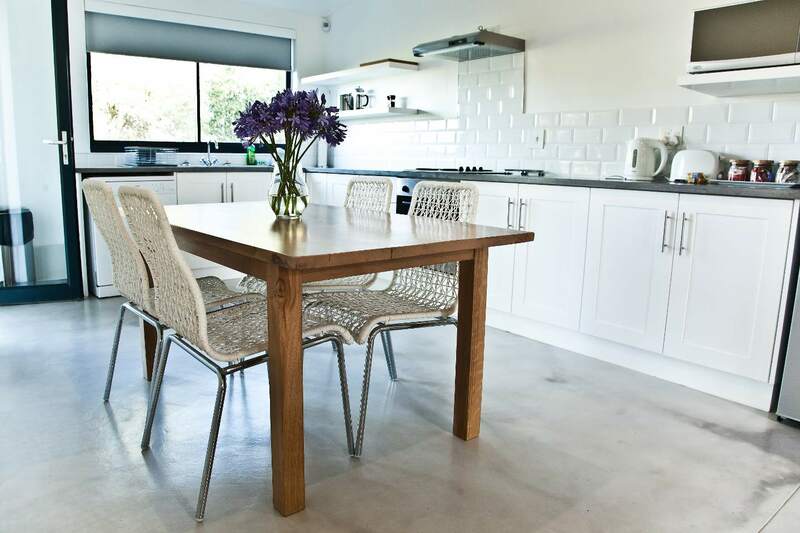 The kitchen is fully equipped with a fridge and freezer, oven and hob, microwave and dishwasher. 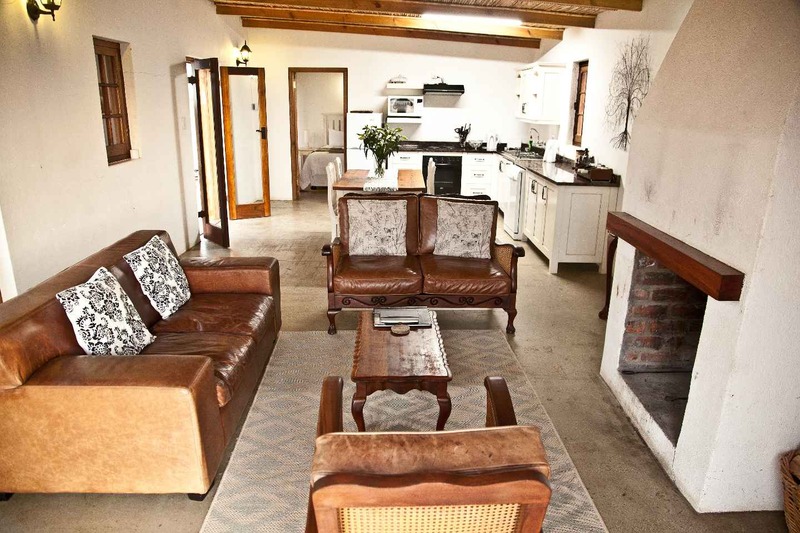 The living area comes equipped with a fireplace and indoor braai facilities. 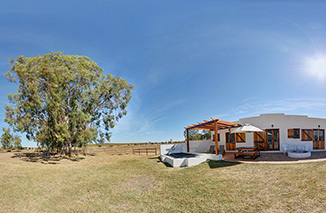 An outdoor braai area is also available. 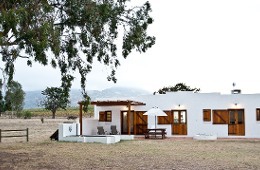 The newly renovated Vineyard cottages are located on a different part of the farm and is surrounded by vineyards and olive trees. 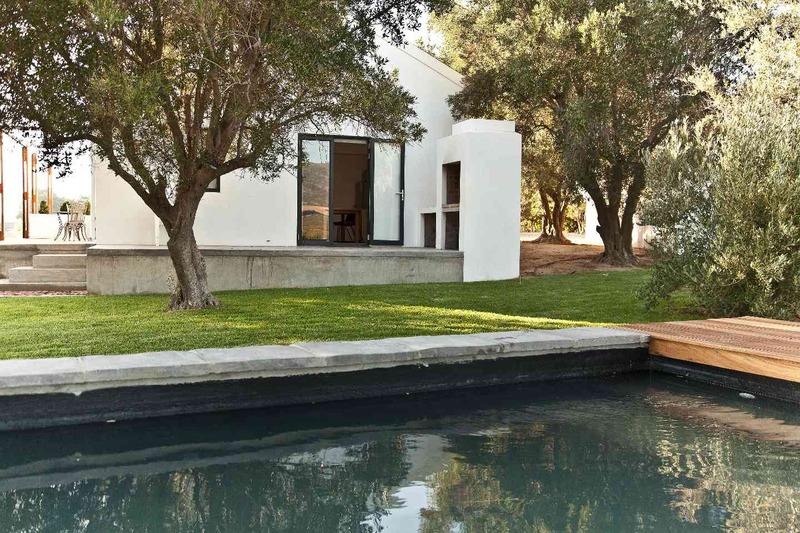 They also have beautiful views towards the Paardeberg Mountains. 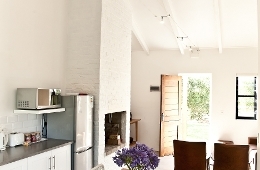 There are two semi-detached cottages, and our Vineyard loft cottage. 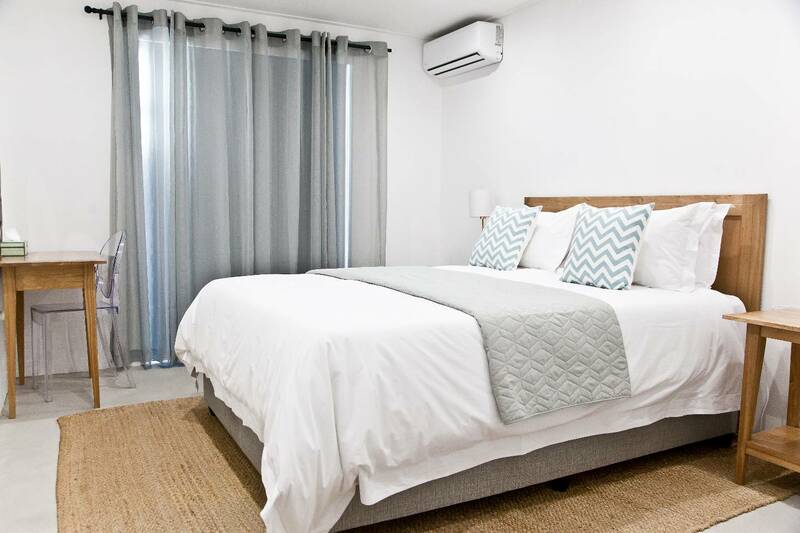 Each have two air-conditioned bedrooms with ensuite bathrooms (except for the loft cottage that has one large bathroom) and can accommodate up to four people. 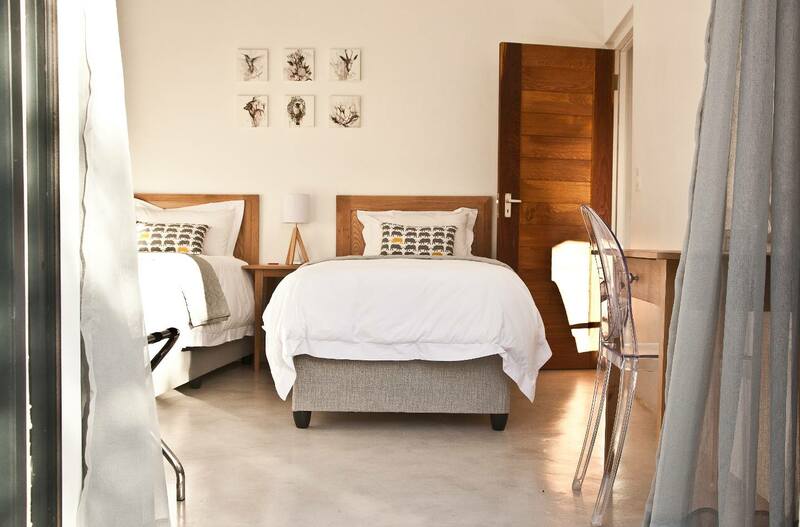 The main bedroom features a queen-size bed and a fully equipped modern bathroom fitted with a bath and shower. 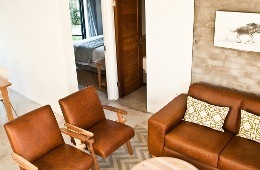 The second bedroom features twin single beds with an ensuite bathroom fitted with a shower and other facilities. 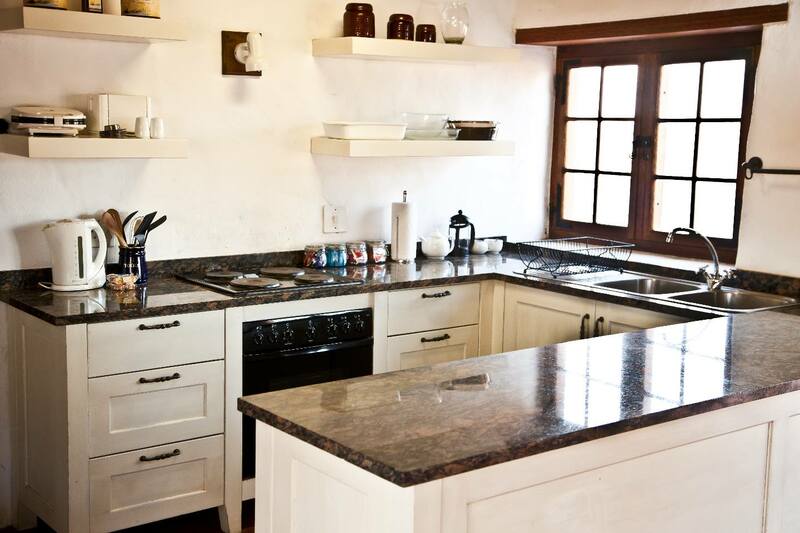 The kitchen is fully equipped with a fridge and freezer, oven and hob, microwave and dishwasher. 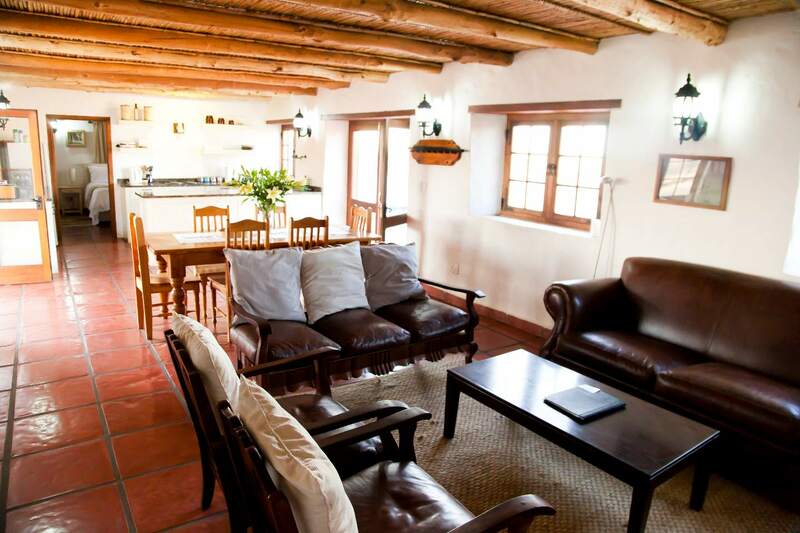 The living area comes equipped with a fireplace as well as an outside fire pit. 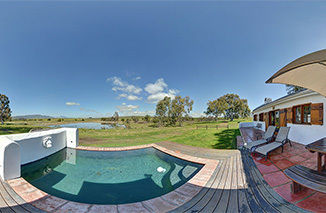 The cottages share a small swimming pool. We service the cottages every day except on Sundays. 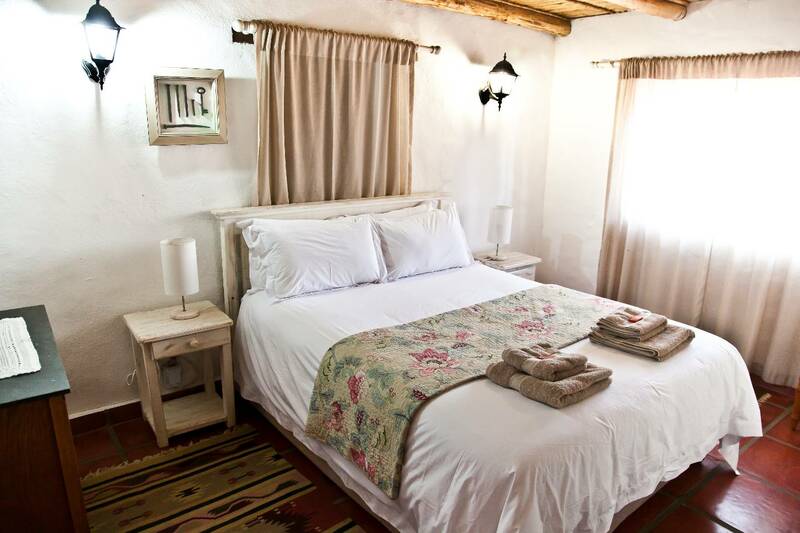 Description: The cottage has 2 bedrooms with reed ceilings and an old world ambience. 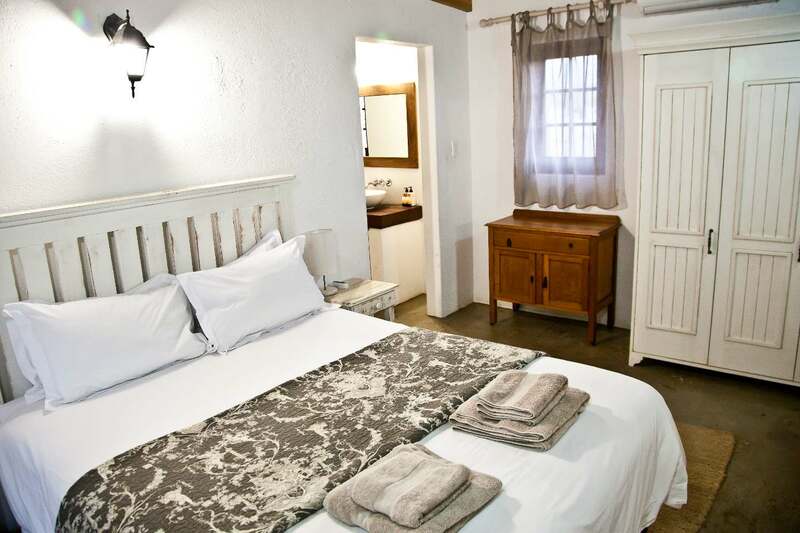 The main bedroom has a double bed and a full bathroom with bath and a large shower for two. 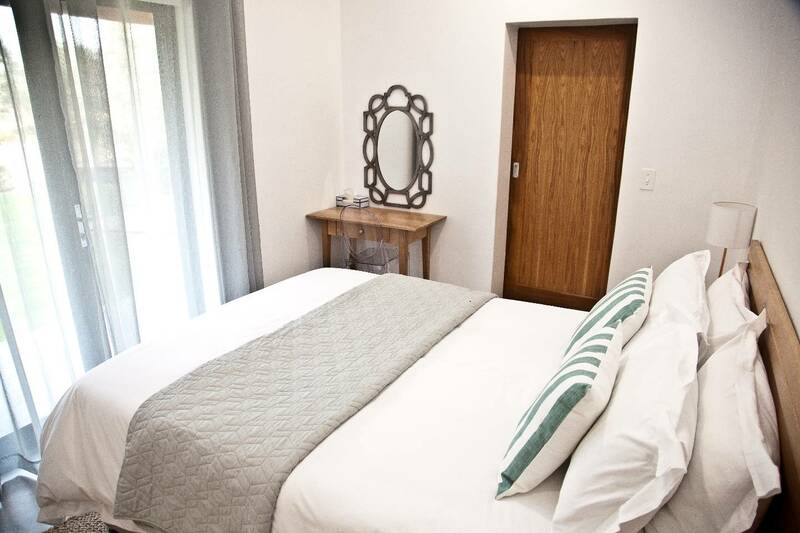 The second bedroom has two single beds with its own shower and toilet. 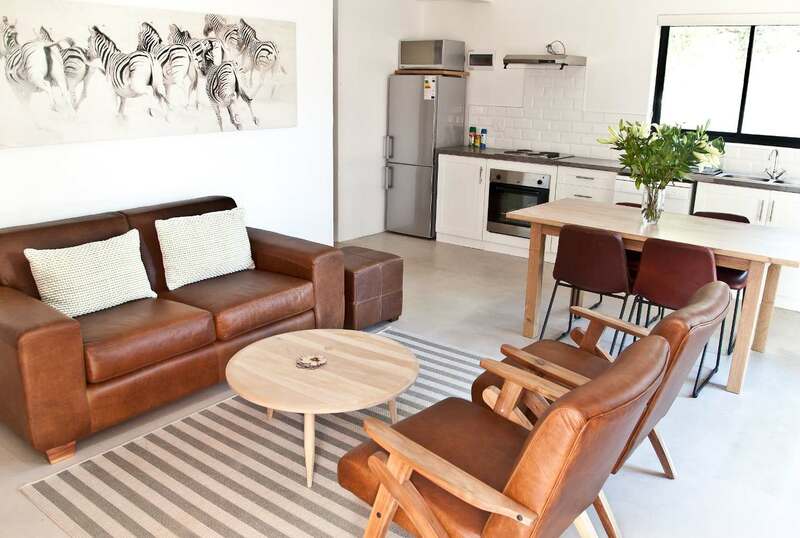 "This is the second time we have stayed here because it is such a wonderful place. 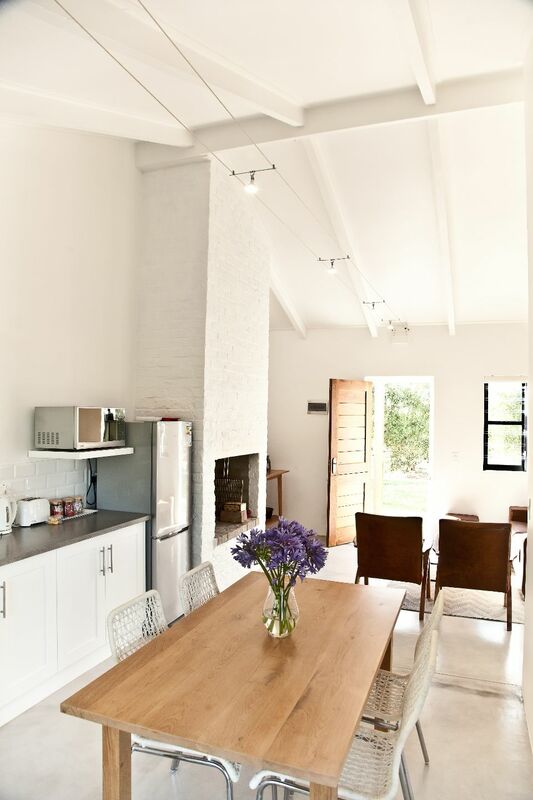 The cottage has everything in it for a relaxing stay. The views over the mountains in the distance are good but the animals coming up to the front of an evening and night makes it special. 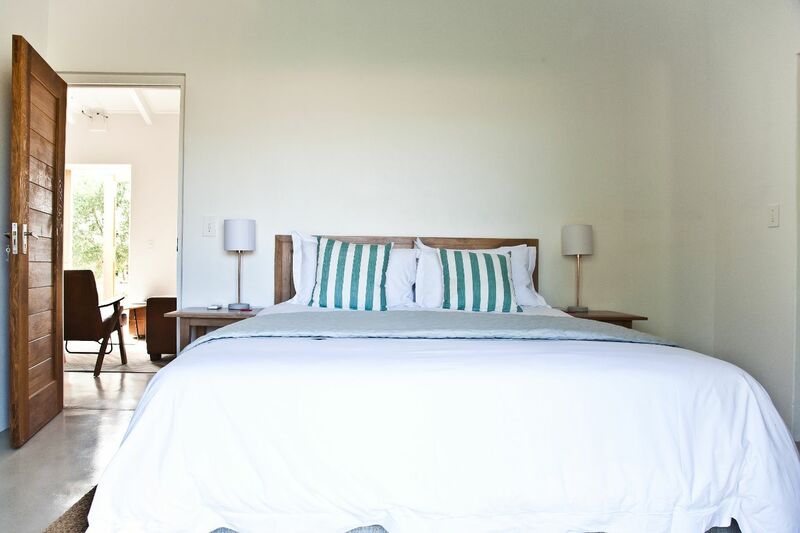 So nice to see Springbok and ..."
"This is the second time we have stayed here because it is such a wonderful place. 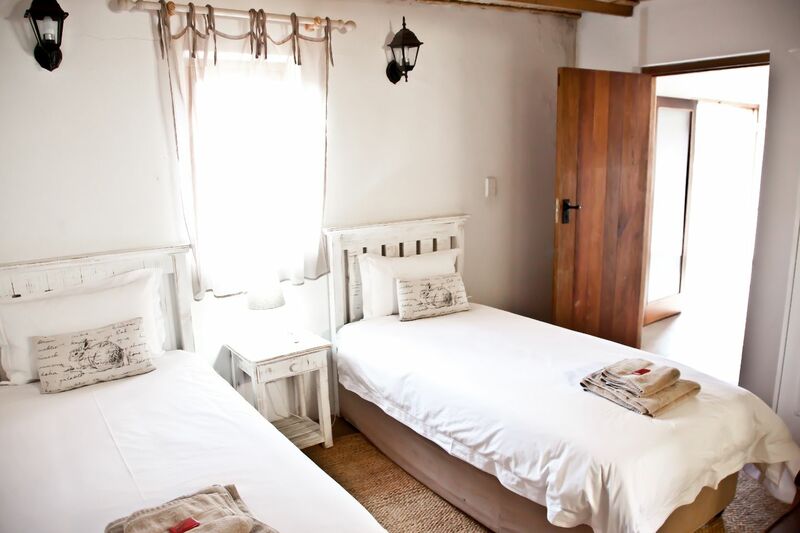 The cottage has everything in it for a relaxing stay. The views over the mountains in the distance are good but the animals coming up to the front of an evening and night makes it special. 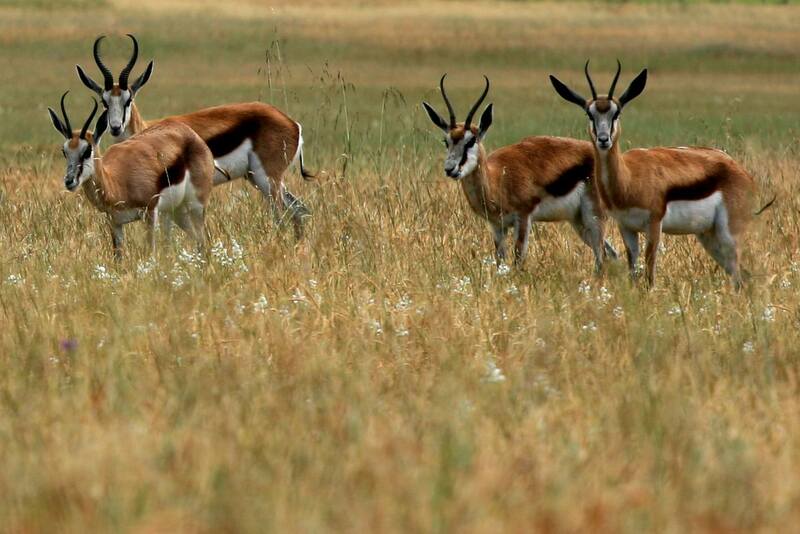 So nice to see Springbok and Gnu's up close. Highly recommended." "Great all over - will go again"
Take the N1 from Cape Town towards Paarl. 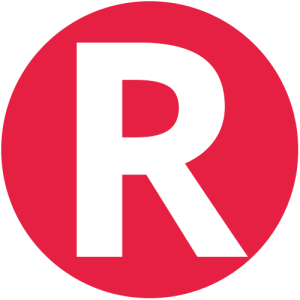 Turn left at Exit 47 onto the R44 towards Wellington. Turn left after 17km at the large, black and white Voor-Paardeberg Wine Estates sign. 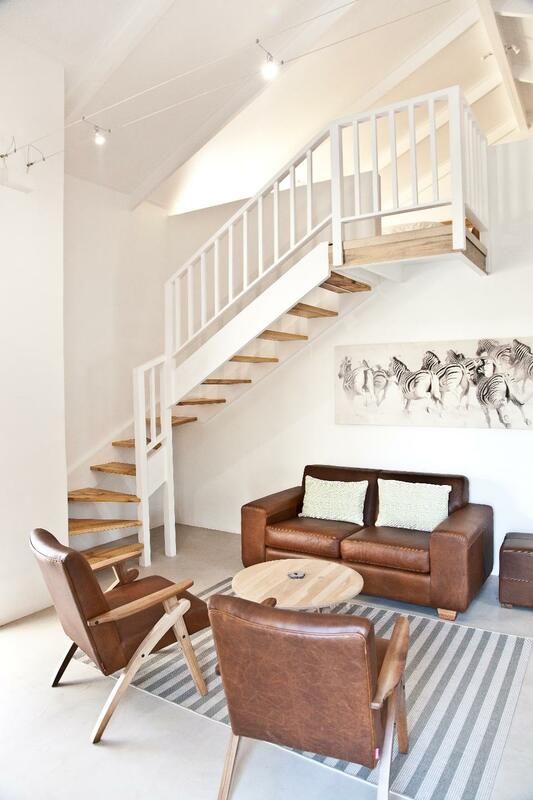 Continue for 6.5km until you see Oude Denneboom's entrance on your left. Contact Oude Denneboom directly. Send them an email.